One of the world’s experts on hammerhead sharks, marine biologist Pete Klimley is fighting the stereotype of sharks as primitive and vicious killers. In fact, hammerheads exhibit some remarkably sophisticated social behaviors, including their schooling in the hundreds at underwater seamounts in the Pacific Ocean. To tell the story of these incredible animals, author Ken Mallory talked with Pete Klimley and then traveled to tiny Cocos Island, 330 miles off the Pacific coast of Costa Rica. There, he had the chance of a lifetime to see these awe-inspiring animals up close. Cork the muskrat wants his best friend Fuzz, a possum, to visit his home, but first he must teach Fuzz to swim and not be afraid of the water. When Jack Frost’s goblins steal Samantha the swimming fairy’s magic goggles as part of their plan to win the upcoming Fairyland Olympics, Rachel and Kirsty try to help Samantha get them back. When Nemo worries that his too-small fin will keep him off the school swim team, his friend Dory encourages him. The Gryphon Award of $1,000 is given annually in recognition of an English language work of fiction or non-fiction for which the primary audience is children in Kindergarten through Grade 4. The title chosen best exemplifies those qualities that successfully bridge the gap in difficulty between books for reading aloud to children and books for practiced readers. The Gryphon award was conceived as a way to focus attention on an area of literature for youth that, despite being crucial to the successful transition of new readers to independent lifelong readers, does not get the critical recognition it deserves. The award is sponsored by the Center for Children’s Books at the Graduate School of Library and Information Science at the University of Illinois at Urbana-Champaign. 2014: Jon Scieszka. Battle Bunny. Gr. 1-3. 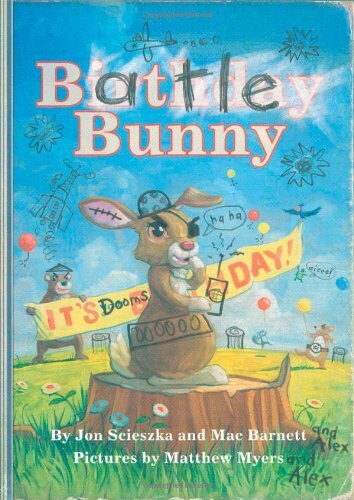 When Alex gets a silly, sappy picture book called Birthday Bunny, he picks up a pencil and turns it into something he’d like to read: Battle Bunny. An adorable rabbit’s journey through the forest becomes a secret mission to unleash an evil plan–a plan that only Alex can stop. Featuring layered, original artwork, this dynamic picture book celebrates kids as storytellers. 2013: Jason Chin. Island: A Story of the Galápagos. Gr. 2-5. Charles Darwin first visited the Galápagos Islands almost 200 years ago, only to discover a land filled with plants and animals that could not be found anywhere else on earth. How did they come to inhabit the island? How long will they remain? 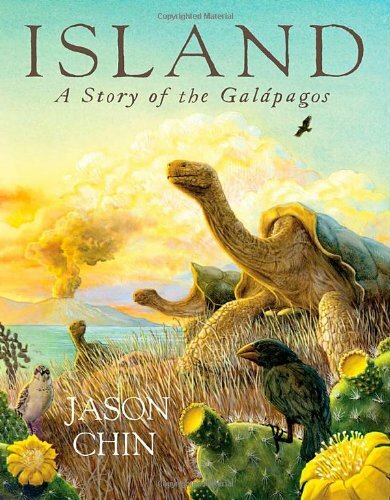 Thoroughly researched and filled with intricate and beautiful paintings, this extraordinary book by Award-winning author and artist Jason Chin is an epic saga of the life of an island—born of fire, rising to greatness, its decline, and finally the emergence of life on new islands. 2012: Julie Sternberg. Like Pickle Juice on a Cookie. Gr. 2-3. When nine-year-old Eleanor’s beloved babysitter Bibi moves away to care for her ailing father, Eleanor must spend the summer adjusting to a new babysitter while mourning the loss of her old one. 2011: Mo Willems. We Are in a Book! Gr. K-1. 2010: James Sturm. Adventures in Cartooning. Gr. 2-5. Once upon a time . . . a princess tried to make a comic. And with the help of a magical cartooning elf, she learned how – well enough to draw her way out of an encounter with a dangerous dragon, near-death by drowning, and into her very own adventure! Like the princess, young readers will discover that they already have the drawing and writing skills it takes to make a comic – they just need a little know-how. 2009: Nic Bishop. Frogs. Gr. 2-5. A collection of close-up photographs capturing an array of diverse frogs in their natural habitat, including bullfrogs and dart frogs, as well as general information and fun-filled facts provides readers with a colorful introduction to these amazing animals. 2008: Michael Townsend. 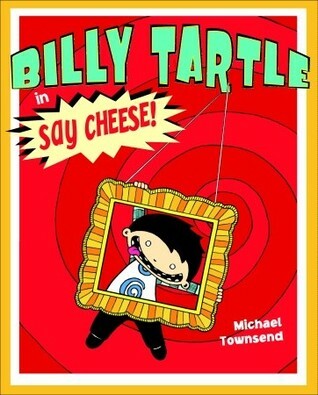 Billy Tartle in Say Cheese! Gr. 2-4. How can Billy Tartle make his class picture super-cool? How about a cool haircut—a Mohawk with big spikes! And it must be bright-bright yellow, no pink, no green—well some kinda cool color! Billy’s mom just wants him to get a regular old haircut, look handsome, and smile nice—sooo bo-ring! Will Billy be able to outwit her and kindly Barber Ken? Of course! A familiar childhood ritual is given a fresh, nutty spin in this tale of how kids want things to be fun and parents want things to be normal. But everybody will smile when Billy Tartle gets into the picture! 2007: Matteo Pericoli. The True Story of Stellina. Gr. 2-5. Stellina was a bird: “CHEEP.” A very little bird: “Cheep! 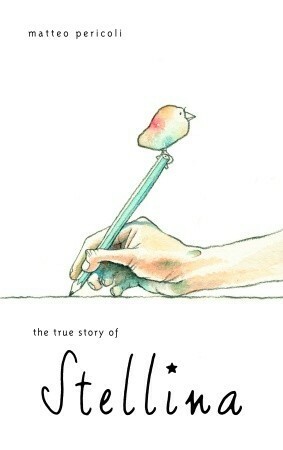 cheep!”So begins critically acclaimed author Matteo Pericoli’s all-true story of how he and his wife, Holly, came to rescue and raise a little finch, Stellina, in the middle of New York City. When no zoo would take the abandoned bird, fallen from her nest onto a busy street, Holly took her home and gave her the best life she could. And there, in a Manhattan apartment, Stellina leaned how to eat, fly, and sing. 2006: Michelle Edwards. Stinky Stern Forever. Gr. 2-4. Pa Lia and her classmates share memories of StinkyStern, the second-grade bully. 2005: Monika Bang-Campbell. Little Rat Rides. Gr. 2-3. Little Rat overcomes her fear and learns to ride a horse, just like her daddy did when he was young. 2004: Douglas Florian. Bow Wow Meow Meow: It’s Rhyming Cats and Dogs. Gr. 2-4. From leopards to Chihuahuas, a picture book with lively rhymes provides more than twenty easy-to-read poems about cats and dogs of all shapes, sizes, and sounds. Tedd Arnold’s Fly Guy is a funny early reader series featuring Buzz and his improbable pet fly, Fly Guy. Fly Guy wins over skeptical pet show judges, saves the day when the family gets lost on vacation, and survives a trip to the flyswatter factory, among many other adventures. 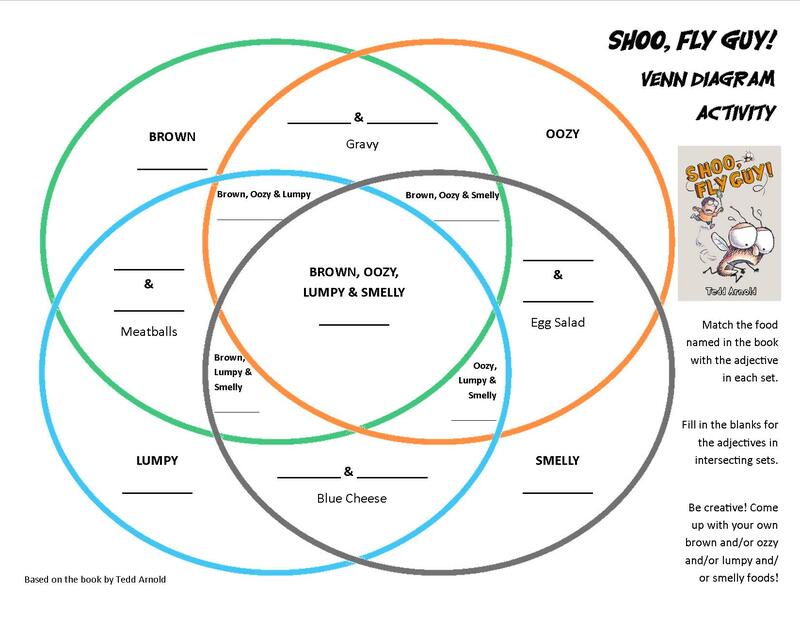 There’s a subtle gross-out factor that appeals to many kids (Fly Guy’s preferred dining experience is, after all, the garbage can) without being too over-the-top revolting for parents. The crossover beginning reader/early chapter book format is great for newly independent readers but is still a good length for parents to read aloud. Recommended for kids who like goofy, silly adventure stories in a shorter, beginning reader length. On March 11, 1918, what are believed to be the first cases of the 1918 flu epidemic were reported at Fort Riley, Kansas. When the great influenza epidemic strikes Duluth, Minnesota, in 1918, Marven’s parents know they must send their son far away to keep him safe from the disease. So the ten-year-old boards a train headed for a logging camp, not knowing if he will ever see his family again. In the great north woods, Marven finds a new world of towering trees, endless expanses of snow, and lumberjacks as big as grizzly bears. He feels very alone among the enormous woodsmen–until he meets Jean-Louis, the burliest jack of all, and they become fast friends. When the influenza epidemic of 1918 comes to Vermont, eleven-year-old Margaret, who has always wanted to be a physician, finds out what doctoring is like.